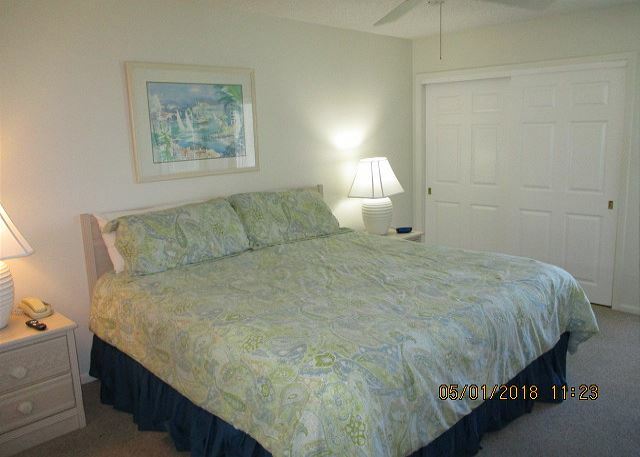 Condominium rental unit #221 accommodates up to 8 people with a king size bed in master bedroom, two twin beds in guest bedroom, sofa sleeper in living room, and a queen size air mattress. 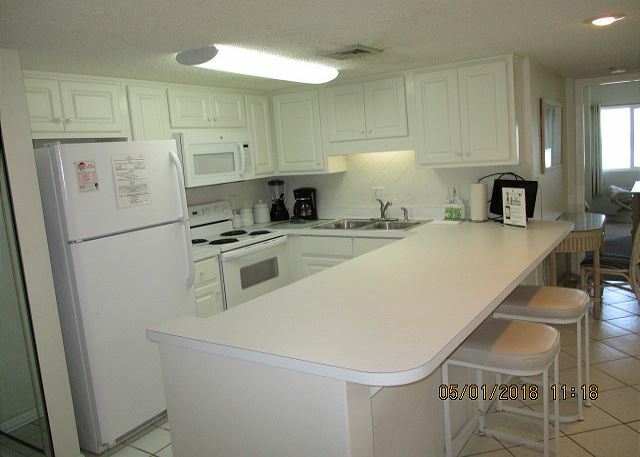 Unit has tile floors throughout with carpet in bedrooms and also has a wireless router. New 42" flat screen tv in living room. 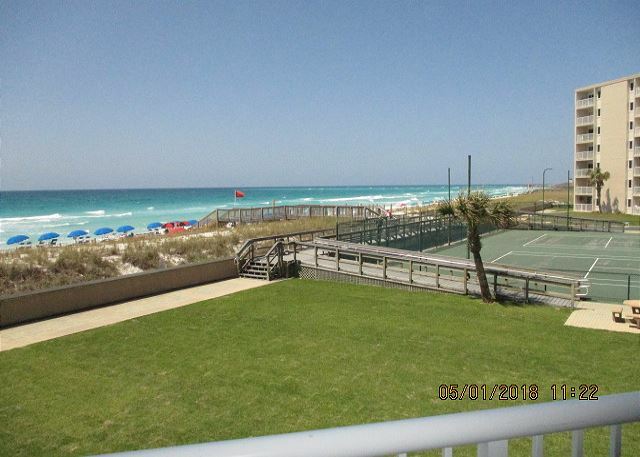 Enjoy the beauty of Destin`s beach from your private balcony. 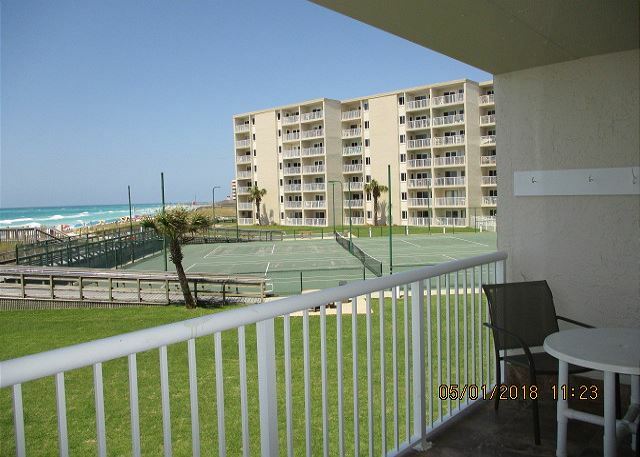 This condo is SATURDAY TO SATURDAY ONLY DURING PEAK SEASON.The pool, tennis courts and complimentary beach chairs are just steps away. Take advantage of complimentary Xplorie excursions to enhance your vacation. Make your reservations today! We had a wonderful, relaxing vacation with our family. 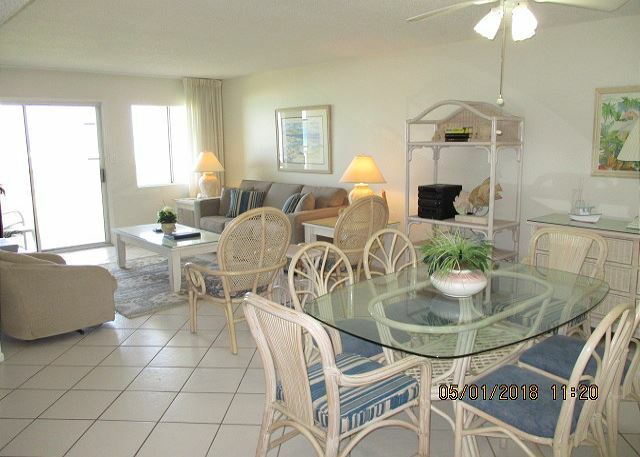 The condo was perfect!! 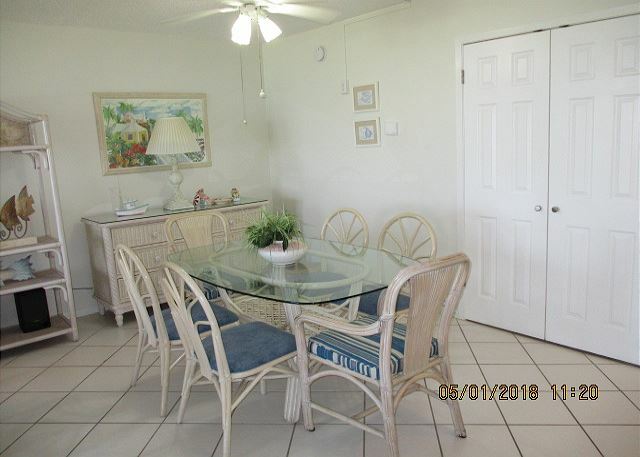 Well maintained and a fantastic location!! We will be back!! 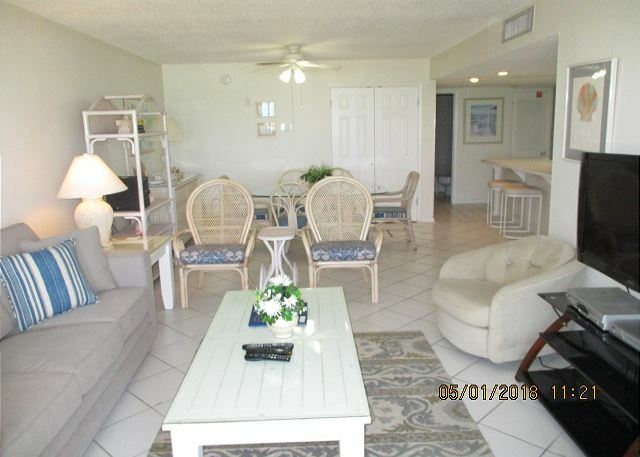 HSRC is a prime location, right on the gulf and all rooms have a beach view. The proximity to Hwy 98 is great and offers a wealth of restaurants, stores and fun things to do! Each unit is individually owned...some are more updated and modern...others need some sprucing up. 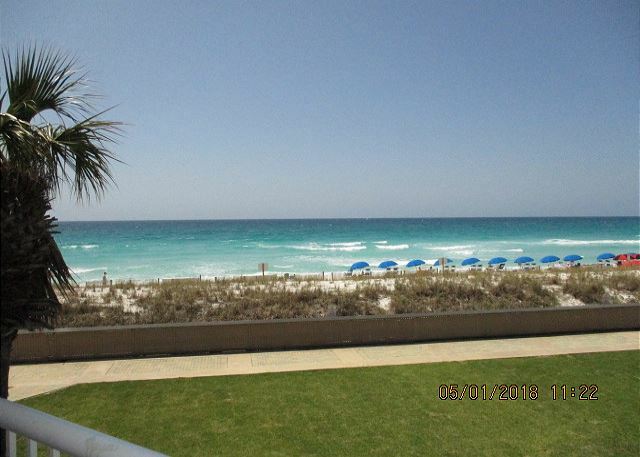 We are snowbirds and have been going to Destin for 4 years. Overall, we enjoy our stay every year. Had the luck of fabulous weather and super clean Gulf waters. Thanks to Scott again for his always super beach management. 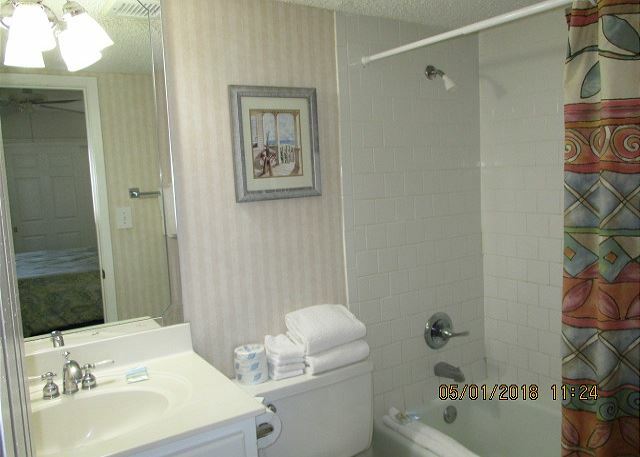 Our rental unit #221 would need improving before renting it again. 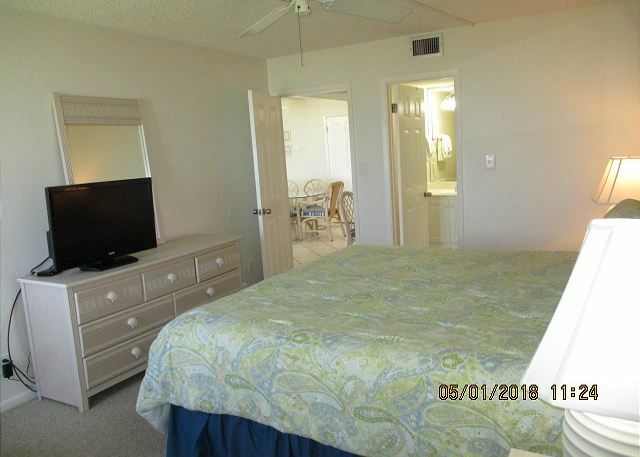 While our stay in condo 221 was overall satisfactory and we plan on returning next year, our biggest issue was that the sliding door was extremely hard to open and while one of our friends worked on it and improved the condition, it took 3 calls to the office before it was eventually repaired. On the plus side, the kitchen faucet leaked, the disposal clogged and the lock on the door jammed but these issues were handled in a timely manner. Additionally, we were disappointed that we didn't get the "midpoint cleaning" but didn't report it as we were leaving soon. 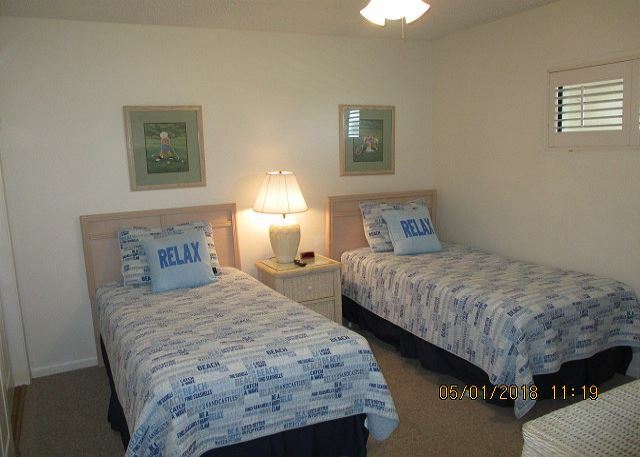 The bed was comfortable and the couch/sleeper sofa was new. The kitchen was sufficiently supplied. 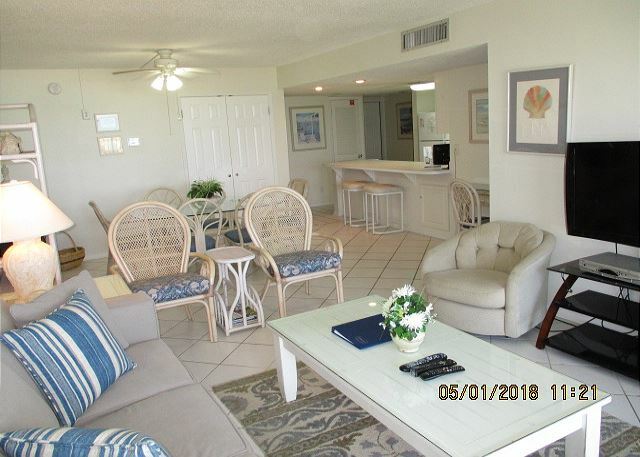 We like the beach area, the pool, the tennis and shuffleboard access and especially enjoy the availability of stores and restaurants. The Snowbird Club provided opportunity for social interaction. 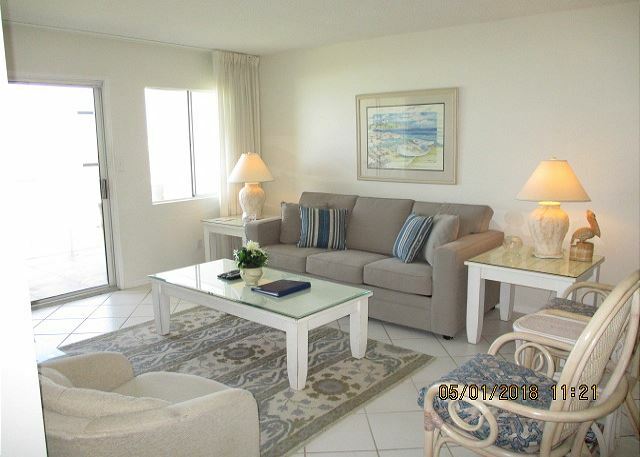 We had a great view, easy access to the beach and pool, we were near the stairs and the end. It was clean. Areas that could be improved on: The couch needs to be replaced, peeling apart. The outside patio furniture needs replaced - it would be nice to have higher chairs as well so you can enjoy the view. The current ones put you right at eye level of the rail.